Fishing magician Charters is a dedicated family owned-and-operated business with insured and licensed captains. Based in Shell Beach, Louisiana, just 30 minutes away from New Orleans, it is run by the well known "fishing Magician", Capt. Johnny Nunez. 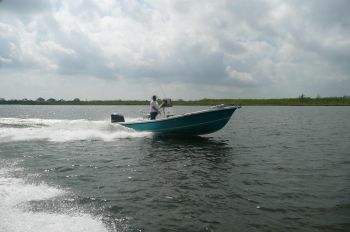 For generations the Nunez family have lived and fished the bayous of St. Bernard Parish. Coasting through the sparkling water of Shell Beach, The Magician will take you on a wonderfully smooth ride in a 25' Privateer with a 350 Yamaha. Few captains can boast of a record like Capt. Johnny and his sons. They will help you catch reds, speckled trout and other fish while fishing light tackle in the Biloxi Marsh or Louisiana coastline.